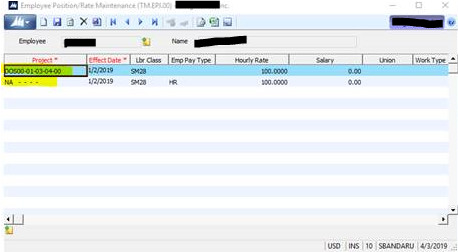 When you create employees profile in Dynamics-SL (2015), at the next step to add employees position and pay rate screen you may use "Project ID#" under the first box. If you use Project ID# in this box, you may add Effective Date and Labor Class, Hourly Rate and Salary; however, you cannot add the "Employee Pay Type". Time Card entry is derived by "Employee Pay Type" so if you don't show either "HR" or "S1" or "S2", employees cannot add their time into the WEBAPP. In order to solve the issue, change the first box "Project ID" entered with "NA-----" and then select one of the three options above such as HR, S1, or S2 which ever Pay Code you want to apply. 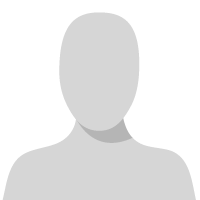 Please note for employees to add their worked hours in WEBAPP they have to be set up with a HR, S1, or S2 pay codes. To select one of these three codes "Project" box should be "NA----".